If you missed the +ASUS Press event from CES2014 Here is your chance to watch it. ZenPhones were the big highlite of there showing imo. 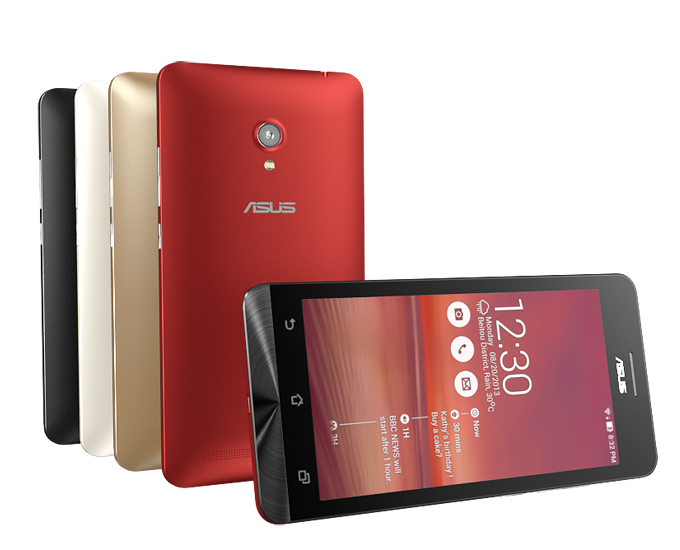 Las Vegas, NV (January 6, 2014) — ASUS today announced ZenFone, a brand new high-value smartphone series that offers a choice of screen sizes ranging from 4 to 6 inches and is available in an array of striking colors — meaning there’s a ZenFone for everyone. ZenFone also introduces ASUS ZenUI, an exciting new user interface that’s exclusive to ASUS smart devices. With simplified icons and menus, a selection of themes beautifully designed to match the device colors and a clever “What’s Next” feature that helps users keep track of their lives, ZenUI is the irresistible front end that proves fantastic functionality can have a friendly face. ZenFone 4 features a bright 4-inch display and a very responsive dual-core 1.2GHz Intel® Atom™ Z2520 processor with Quad-Thread Hyper-Threading Technology — making this a smartphone that never leaves the user waiting for a response. ZenFone 4 is a great-value smartphone that features two built-in cameras including a high quality 5-megapixel main camera for capturing life’s moments, a slim and lightweight design along with five vibrant colors — Charcoal Black, Pearl White, Cherry Red, Sky Blue, Solar Yellow that make a personality statement . ZenFone 5 features a bright and clear 5-inch IPS panel that delivers a superb high-definition display in a stunning thin and lightweight design for easy portability. Exclusive ASUS PenTouch and GloveTouch technologies increase ZenFone 5’s display sensitivity, making it possible to use the device with any stylus or even a gloved hand so frustrations about how and when users can interact with their phones become outdated. ZenFone 5 has a fast, energy-efficient Intel Atom Z2580 processor running at 2GHz that provides instantaneous responses and excellent gameplay. ZenFone 5 also benefits from a brilliant 8-megapixel PixelMaster main camera with image stabilization and a backside-illumination (BSI) sensor and wide-aperture f/2.0 lens with exclusive ASUS PixelMaster technology. This allows users to capture digital photographs that match those snapped by many dedicated digital cameras. Its 2-megapixel front camera takes sharp photos and provides high-quality video chat sessions. ZenFone 5 is available in four statement colors that express your personality — Charcoal Black, Pearl White, Cherry Red, and Champagne Gold. ZenFone 6 also offers a brilliant 6” HD display and features GloveTouch and PenTouch technologies so users can operate the device with gloved hands or any stylus. It also has a powerful and responsive Intel Atom Z2580 processor running at 2GHz. ZenFone 6’s large screen is complemented by ASUS SonicMaster audio technology with virtual surround sound via headphones for a truly immersive entertainment experience when watching movies, listening to music or playing games. ZenFone 6 also includes a 13-megapixel main camera that features exclusive ASUS PixelMaster technology, and a 2-megapixel front camera for high-resolution video calls with friends, family and coworkers. ZenFone 6 is available in the same personality statement colors — Charcoal Black, Pearl White, Cherry Red, and Champagne Gold. ZenFone 4, 5 and 6 all feature a new user interface from ASUS — ZenUI. Exclusive to ASUS smart devices, ZenUI is meticulously designed to help users make the most of the functionality enhancements packed into every ZenFone. ZenUI delivers a great user experience with ease of use and functionality enhancements. ZenFone knows what users need, helps to express their thoughts and feelings online and keeps them connected wherever they go. ZenUI even includes free open messaging, powered by Omlet Chat on the Omlet Open Messaging Platform. This leading messaging tool lets users share almost any kind of content easily with anyone, on any phone — and all without racking up charges associated with sending traditional text (SMS) and picture (MMS) messages. ASUS also added enhanced Android apps to every ZenFone device, making the phone simpler and easier to use for users. The ASUS-enhanced email app, for example, allows displaying of messages by thread to help keep track of conversations. Smart Reader Mode automatically adjusts the background tone to reduce eyestrain when viewing books, magazines or websites, while the Gallery app has enhanced online synchronization. 1 Specifications and product availability are all subject to change without notice and may differ from country to country. Actual performance may vary depending on applications, usage, environment and other factors. For more details about the products mentioned in this press release, please visit http://press.asus.com . ASUS is a worldwide top-three consumer notebook vendor and maker of the world’s best-selling, most award-winning, motherboards. A leading enterprise in the new digital era, ASUS designs and manufactures products that perfectly meet the needs of today’s digital home and office, with a broad portfolio that includes motherboards, graphics cards, optical drives, displays, desktop and all-in-one PCs, notebooks, netbooks, servers, multimedia devices, wireless solutions, networking devices, tablets and smartphones. Driven by innovation and committed to quality, ASUS won 4,168 awards in 2012 and is widely credited with revolutionizing the PC industry with its Eee PC™. ASUS has more than 12,500 employees around the globe with a world-class R&D team of 3,800 engineers. Company revenue for 2012 was approximately US$14 billion.